El Chorro, located between the Guadalhorce and Guadalteba districts, is a spectacular hilly enclave right at the Desfiladero de los Gaitanes National Park. The Andalusia Board declared it a protected area in 1989 for its ecological value and extraordinary scenic, historic, and paleontologic richness. 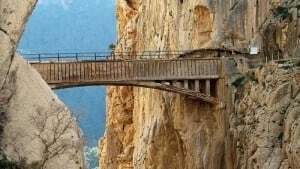 The Caminito del Rey is a hanging pathway of about a meter wide in the most narrowest parts, and about three kilometers long. Walk along the Desfiladero de los Gaitanes, hanging perpendicular to the river, grabbing onto vertical walls, about 100 meters above the river. 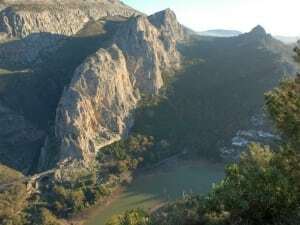 The Caminito del Rey was built between 1901 and 1905 to connect El Chorro and El Gaitanejo waterfalls that belonged to El Chorro Power Plant. The Desfiladero de los Gaitanes Natural Environment covers an area of 2,016 hectares and it is Malaga’s largest protected natural environment. It is located in the Alora, Ardales and Bobadilla districts. It was declared a protected area under the Law 2/1989 dated July 18, passing the Andalusia Protected Natural Environment Listing and implementing additional measures for its protection (Andalusia Board Official Newsletter (BOJA) #60 dated July 27, 1989). It is also a Protected Area for Birds (ZEPA, 2002) and it has been proposed as a Community Attraction (LIC). The heavy flooding Malaga suffered from in 1907 resulted in the creation of the South Spain Hydraulics Division, born to prevent catastrophes and see to the use of water for irrigation. 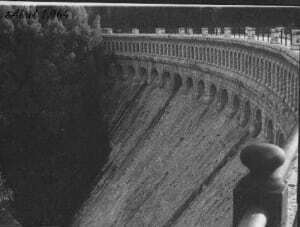 Rafael Benjumea had the idea to build a dam in the Turon River that would accumulate enough water to irrigate the entire Guadalhorce valley. 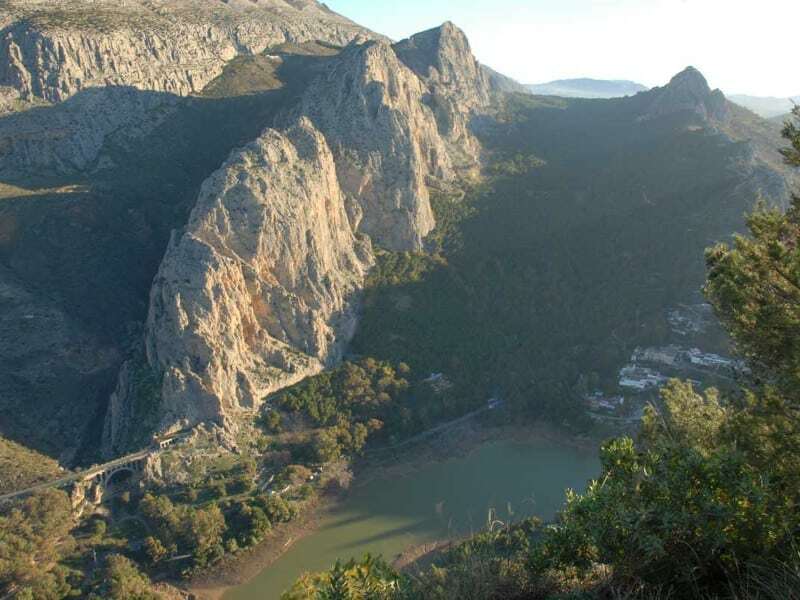 Geographically, the Guadalhorce and Guadalteba Dams’ environment is formed by seven districts located in this area: Carratraca, Ardales, Teba, Campillos, Alora, Abdalajis Valley, and Antequera, even though the dams border the Ardales, Campillos, Antequera, and Teba Districts. Rafael Benjumea Burín was in charge of the Conde de Guadalhorce Dam project. Benjumea was called ‘the poet engineer’. His works are described as brilliant because he combined engineering functionality with and environmental awareness, blending the usefulness of the work with the beauty of the place. Praises on the beauty of the dam came to King Alfonso XIII ears, who made an official visit to the place on May 21, 1921. The king was so impressed for what he had seen that in September that year he awarded Rafael Benjumea with the title of Count of Guadalhorce, ‘for him, his children, and legitimate successors’. The ruins of the mythical Bobastro Fortress are located in the Ardales District, the area known as Mesa de Villaverde. That is where Omar ibn Hafsún, a rebel descendant of the Muslin Visigoths (Spanish Christians converted to Islam) built an impenetrable fortress for the Omeyas troops, Cordoba reigning dynasty, which he fought against between 880 and 919. 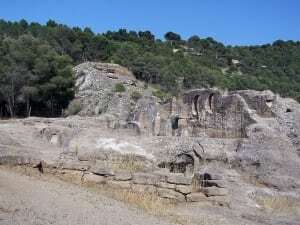 Bobastro is Malaga’s most important stony complex from the Ninth Century. The remains of a Mozarbic stony church, destroyed by Abd al-Rahman III, are located just a few meters away from what used to be the fortress. The church was destroyed after taking total control of the enclave and the defeating of Omar ibn Hafsún’s successors. Do not settle for less. 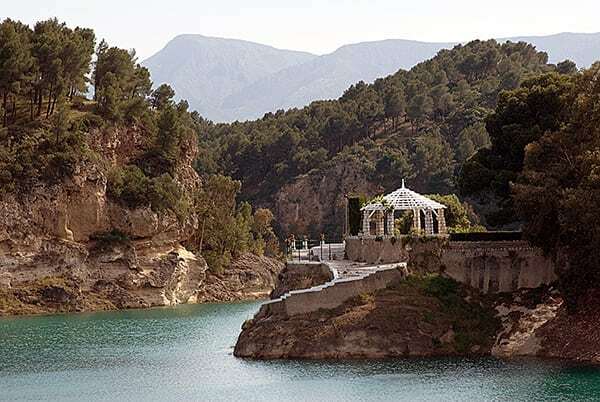 Come over and enjoy El Chorro historical heritage, its environment and surroundings. We help you organize your trip and make of your stay an unforgettable experience.